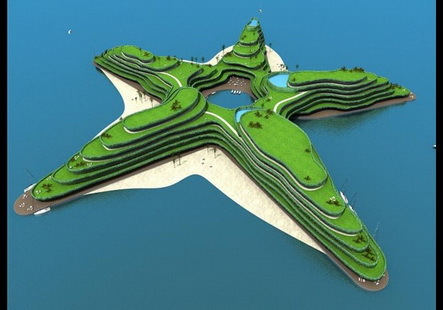 The floating golf mecca, which is scheduled to be open for play in 2013, will be run by industry leader Troon Golf, the gold standard of international high-end golf course and club management. 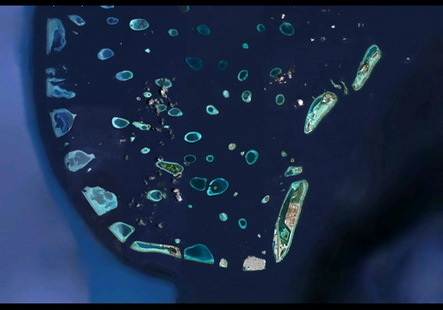 The yet-to-be-named project is part of a larger government-approved development which will include 200 villas and about 45 private islands off the Maldives coast. In historic terms, our understanding of golf excess first shifted in 1990, when the Las Vegas wunderkind Steve Wynn built mega-course Shadow Creek. To say no expense was spared in construction is a gross understatement. 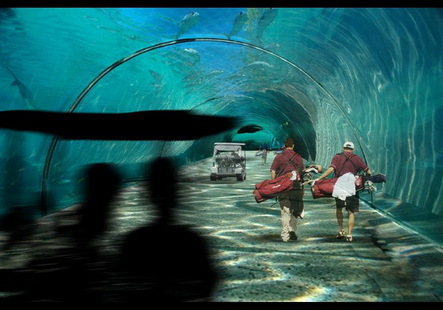 It is said Wynn gave architect Tom Fazio a blank check and a blank desert canvas. Serious earth moving on the 320-acre site boosted the elevation from less than six feet to more than 213 feet. Nearly 21,000 fully mature trees, mostly pines and cottonwoods, were transplanted. While no numbers were released, the best guess in the business is that Shadow Creek cost about $40 million to build, then the most expensive course in history. 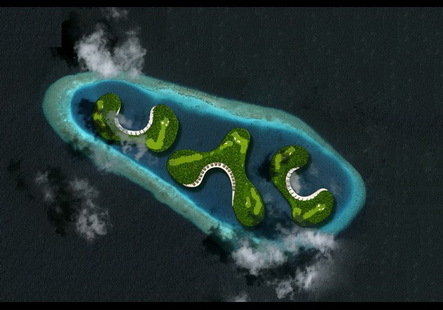 That’s about $70 million today or less than one-seventh of the proposed Maldives course cost. These days the title of most expensive golf course on earth belongs to one of two New Jersey neighbors (private clubs do not have to release cost reports). The number $250 million has been tossed around for valuations of Liberty National, the pet project of Reebok founder Paul Fireman. 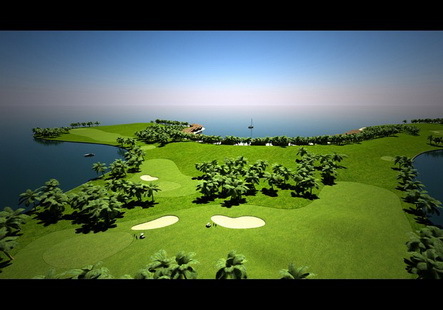 The ultra-exclusive course is known for its granite walking bridges and $500,000 joining free. Nearby Bayonne Golf Club has merely been rumored to have cost in the $150 million-plus range, mainly due to a huge undersea dredging project required as part of the permitting. If the new Dutch Docklands project comes to fruition – even on budget – these bragging rights will have to move halfway around the world. superb ….i wish i will be there………in future..